As many of you know, I have a pretty decent commute to work… right around an hour each way. Just before I get to work, I head down a little country road that has tons of livestock on all sides. Just around a bend there is always this magnificent horse – he’s seriously huge. In my head, I’ve named him Lou. You can’t tell from the picture below, but he’s in a pretty big area – like an entire hillside. 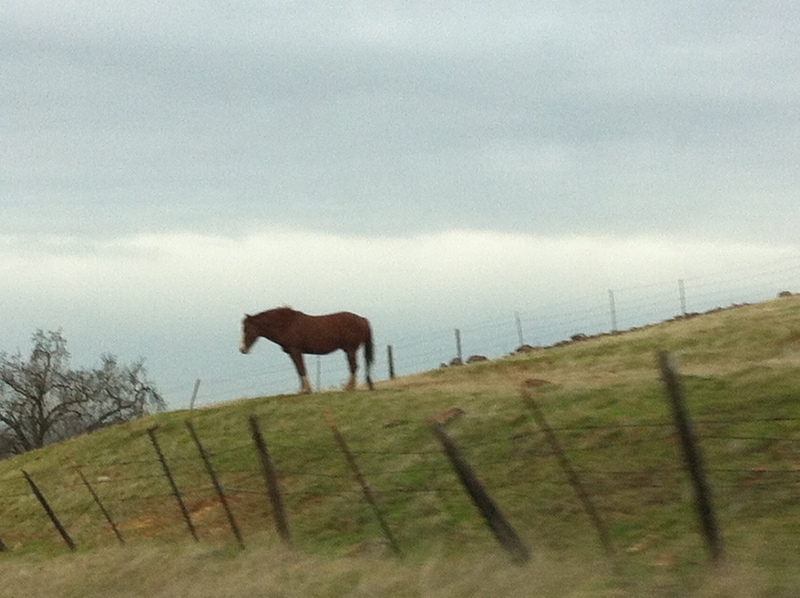 It’s not like he’s fenced in a tiny pasture and that’s the only place for him to hang out. I don’t know why he likes to come stand by the road, but he does (the road is just below him). When I go home, he’s never there. It makes me smile to see him every morning – and I keep wondering what he’s thinking about while staring at the road.